When you approach remodeling in the right way, you can bring value to your home, both in the monetary and enjoyment categories. There are mistakes, however, that you can make when renovating your home for the first time that can significantly increase the costs involved. Keep these in mind when you are ready to take on your first big remodel! 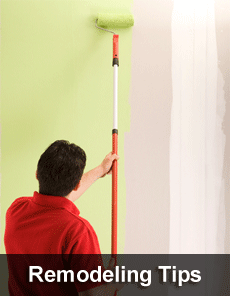 Hire the Right People – You need trustworthy, reputable contractors to work on your home. After all, remodeling a house for the first time and leaving it in the hands of contractors means that there is a significant amount of trust required. Ask friends and family who they have used for their projects and do your research online before hiring. Remember, the cheapest option for a contractor is not usually the best one. The costs involved in fixing work that was done incorrectly will usually be higher than those of paying a reputable contractor to do the work correctly the first time. Make Versatile Choices – There are always trends in home remodeling. Things like tile size and color, for example, change in popularity on a regular basis. Although a certain option may be in today, in 5 years from now, too trendy a selection will just appear more dated. You’re likely to tire of a trendy option quickly, as a result, or struggle to sell your home. Select classic designs when making more expensive changes. Reserve the trends for disposable decor and paint color. Maintain Flow – Your home’s structure and overall style should mesh well together. If you have a century home and over-modernize it, the home may lose some of its appeal to buyers, and decline in value. Your home is a big investment, and it can work well for you provided you make careful choices before relying on impulse to renovate it. 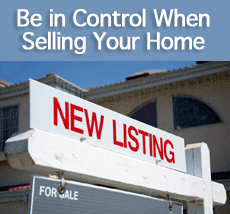 When selling your home, there are many things that can cause stress that are out of your control. As a seller, you cannot control the market, the number of offers placed on your home, or how many other houses are for sale in your area. With so much out of your control, it becomes of utmost importance that you tip the scale in your favor by taking control of the things you can. Selecting Your Agent – When choosing your agent, don’t make a hasty decision. After all, this is the person that can truly dictate the success of your sale. They will have an influence upon foot traffic, marketing, and the pricing of your home. You need a qualified professional to advice you throughout the process so it leads to a positive outcome. Preparing Your Home for Sale – Insure that your home present itself well by cleaning up your yard, and decluttering your home in the very least. 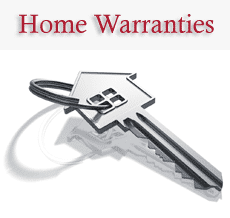 If there are obvious home repair jobs needed, complete the inexpensive ones that act as red flags. You do not want these things to tell buyers you take no pride in your home, or they may expect even bigger problems they can’t see. Your agent can also give you feedback on what areas of your home need attention. Your Expectations on Price – The market controls what your house will realistically sell for. You can control how open-minded you will be about the process. Be willing to bend (but not break) as having a random figure in mind will not be beneficial if it is not realistic to the market you are in. 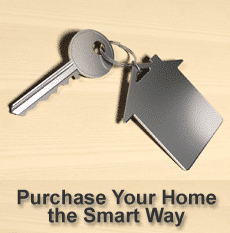 What you purchased your home for or what homes sold for a year ago play no role in what your home may be worth today. If you’ve chosen a qualified agent, they can give you up to date market data on what your home is worth and what you should ask for it. There are a number of factors in a home sale that are left up to chance – don’t be a passive observer as you work to sell your home – take control over the things you can control! Not Checking the Interest Rate – Some buyers do not pay attention to the interest rate that they’ve signed up for. 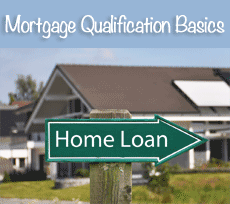 They may calculate their affordable mortgage amount based on an online approval amount or calculator. If they’re a higher risk borrower, they may end up with a higher interest rate by the time they actually have a mortgage commitment. Not Understanding What an Adjustable Interest Rate Means – Buyers often get caught up in the idea of a adjustable interest rate when interest rates are low and don’t think about the fact that rates could go up again. They can also end up in an adjustable loan with an inappropriate time frame for their needs. When this occurs, home owners may no longer be able to afford their mortgage. Buyers Have To Borrow Their Down Payment – Individuals that require a down payment, but don’t have the cash may choose to borrow the funds. This means that they will struggle to pay back a loan as they pay a mortgage they can only just afford. There have been times when lending criteria has been too flexible, especially when sub-prime loans are concerned. Lenders may not pay appropriate attention to debt ratios, the source of cash that home buyers use for a deposit, or they may not thoroughly explore a buyer’s credit history. 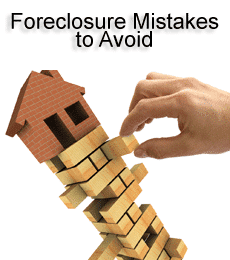 As the wave of foreclosures has hit in the past couple of years, many lenders have also been overwhelmed with the amount of work and paperwork associated with the foreclosure process, this has led to lender mistakes which often create a lose / lose scenario for lenders and borrowers alike. Buyers cannot control the actions of their lenders, but they can inform themselves and make smart decisions to insure that they protect their investments. If you have questions about how to avoid foreclosure or which type of loan is the best for your scenario, we can help inform you so that you make the right decision armed with the knowledge you need. Should You Try to Pay Off Your Mortgage Early? 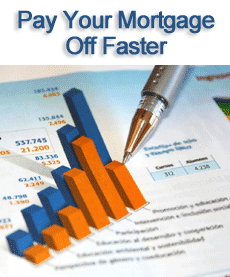 Comments Off on Should You Try to Pay Off Your Mortgage Early? Whether or not to pay off your mortgage early is a highly debated subject, some mortgage professionals say “no” while others in the industry say “why not?”. 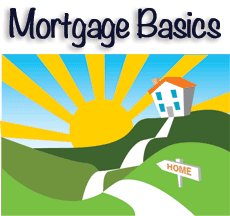 You Have Other Debt – Your mortgage is one of the lowest interest debts that you can possibly have. If you have other debts or loans outstanding then the logical thing to do is pay off those first. You Could Increase Your Retirement Contributions – Ideally, you want to get to a place where you are contributing the maximum amount possible to your retirement savings plan. 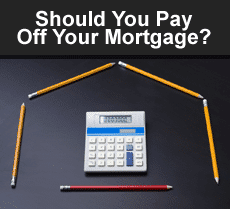 If paying off your mortgage would allow you to do that, then it is something to consider. You Lack Liquid Assets – In today’s economy, having at least 24 months worth of living expenses saved is recommended. It is much easier to reach that goal when your home is fully paid for. However, you do not want to put all of your cash into your home to pay it off if you don’t have other assets available. The Debt Bothers You – Some people are okay with having the debt of a mortgage for the rest of their lives. They are happy to continue to upgrade to larger homes, even if it means never making significant strides with paying off the mortgage. At the end of the day, paying off the mortgage on your home could be a smart choice, but you have to decide whether it’s the right choice for you as there truly is no right or wrong answer. We can help you look at your own financial goals and consider the above to make your decision. Many dream of owning their own home. With the proper preparation, you’ll be able to start your home search and find your perfect place with as little stress as possible. This is by no means a comprehensive list of ways to prepare for home buying, but it can be a step in the right direction. As gung-ho as you may be to start the home search, if you don’t know your budget, you’ll likely waste time looking in the wrong price point. A good first step in home buying is to talk to a lender about financing, and decide if it’s the right time for you to buy. Getting pre-approved for a home loan isn’t mandatory, but it allows you to not only know your budget, but can also help show you’re a serious buyer when the time comes to purchase. In other words, getting pre-approved is highly recommended. Extra costs are a major part of the home buying process. It’s important to factor the possible costs of insurance, closing fees, and taxes into your budget. If you choose a house in a neighborhood that’s governed by a homeowners association, there will likely be extra HOA fees each month. 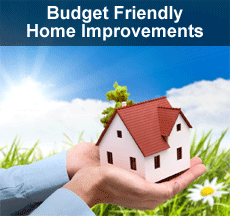 Even extra costs for repairs should be factored into your budget, especially if you choose a home that needs a lot of work. Ask questions to be sure you are fully understanding the costs involved with a possibly transaction. Even if your seller makes it clear that they will not foot the cost of repairs, getting a home inspection is vital. You’ll be able to see if there are health and safety issues with the house, and you’ll know what needs to be fixed immediately instead of leaving it to chance. A home inspection is one of the smartest choices you can make in the home buying process. When you are putting your house up for sale in this tough economy, you are wise to not spend anymore than you have to when you are getting it ready to sell. However, to increase the chances of success for selling your home, it does still need to be in showing condition to impress potential buyers. De-clutter – With too many of your personal belongings in the home, potential buyers may struggle to picture themselves in it. They may also have trouble seeing some of the positive details with all of the distracting clutter. Fix the Visual Problems – Touch up paint that is chipping and fill in holes. If there are screens that are broken they should either be removed or replaced. Clean up grout in the bathrooms and re-caulk where necessary. These tasks will help ensure that your home doesn’t automatically create a red flag that there is work that needs to be done. Correct Issues that Will Audibly Tell buyers There Are Issues – This means that you need to lubricate squeaky doors and fix leaky faucets and running toilets. Modernize Cabinets – You don’t need to fully refinish cabinets, you can simply replace the hardware in your kitchen and bathrooms to spruce up their look. Clean Up Your Lawn – Make sure your lawn is well-manicured by cutting the grass, pulling out the weeds and pruning the trees. When your potential profit may already be affected due to the current state of the market, you want to keep as much money in your pocket as possible. These changes can be made with a minimal investment and give you a better chance at a strong sale because appearances will help you win over prospective buyers.